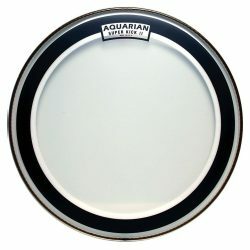 The Aquarian Impact II Clear is an extremely controlled and durable bass drum head, giving a focused punch without overtones getting in the way. 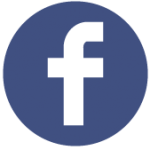 If you’re looking for a quick and fat bass drum sound, this is a great choice. The Aquarian Impact II is made with two plies of 7mil clear film, combined with a wide felt muffling ring attached to the underside of the head. The muffling ring is partially glued to the head, allowing part of it to “float” more freely as the drumhead is struck. 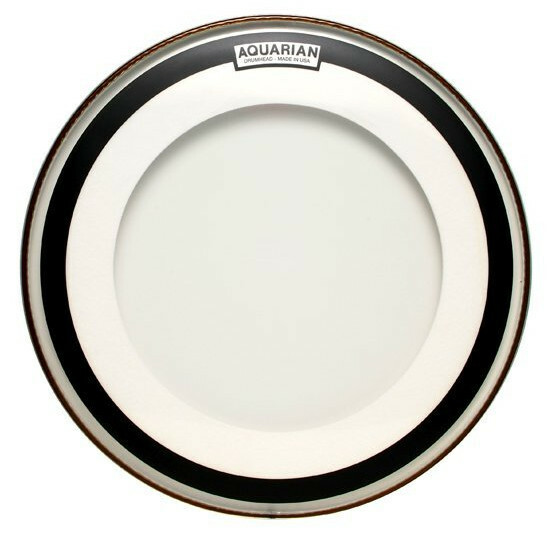 The thicker construction and large felt muffling makes the Aquarian Impact II very controlled – a quick punch, with very short sustain and no overtones. 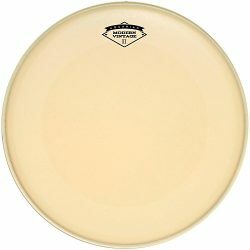 This bass drum head is great if you want to eliminate ringing, and keep things punchy. The Impact II is also great on very hard to tune drums. The Aquarian Impact II has a big and slightly bright initial attack, followed by a short deep thud. 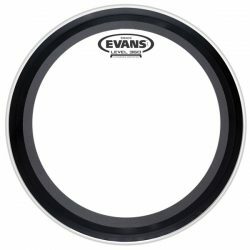 The two-ply construction and wide muffling ring make this an extremely focused bass drum head. Ringing overtones are eliminated, and sustain is kept very low. 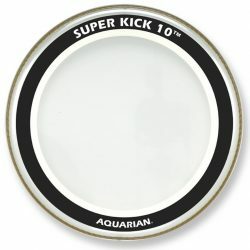 The Impact II is great for a very tight and fat sound, without needing to add any other dampening inside the bass drum. 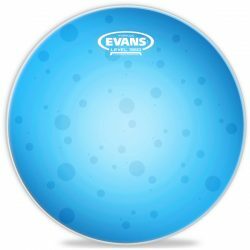 The brighter attack and very short sustain also make this bass drum head great for double-kick drumming, giving a punchy definition to each stroke. Due to the thicker design, the Aquarian Impact II can handle heavy playing. 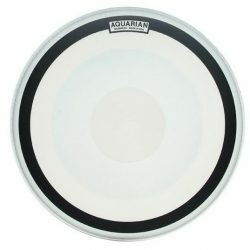 This makes it a great choice for medium and loud volume environments, or for drummers who like to hit hard… The Aquarian Impact II can stand up to long-term use. 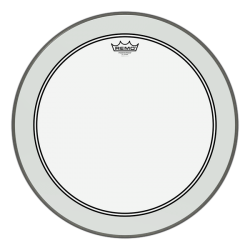 While this bass drum head delivers a big attack, the muffled sound can get lost in extremely loud situations… Use a microphone or click patch with this drumhead if you need a more cutting attack in the loudest environments. 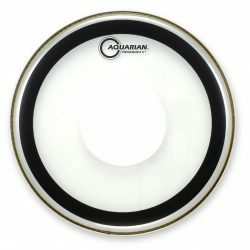 The Aquarian Impact II is designed to give a big, short, punchy sound. 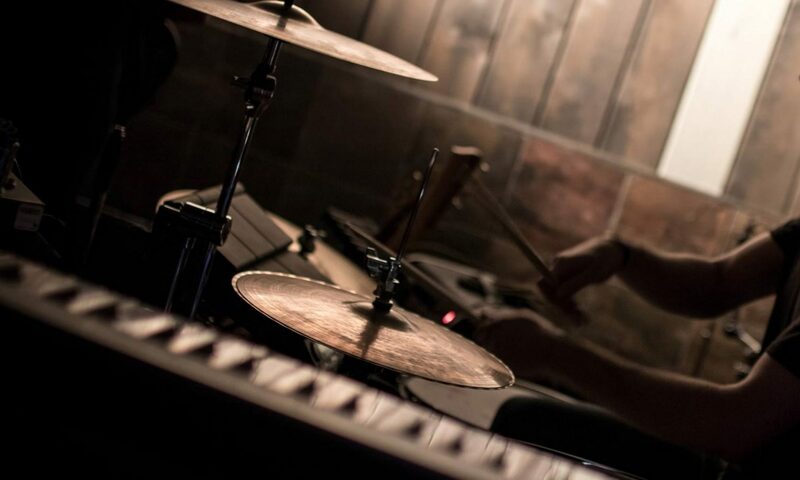 For heavy hitters who need a controlled bass drum head with no ringing overtones, the Impact II is a great choice.